As a scientist or researcher, you need fast, cost-effective access to scientific content. At Reprints Desk, we know a thing or two about simplifying access to scientific literature, and we’re glad to share our knowledge with you. Download your pocket guide now! 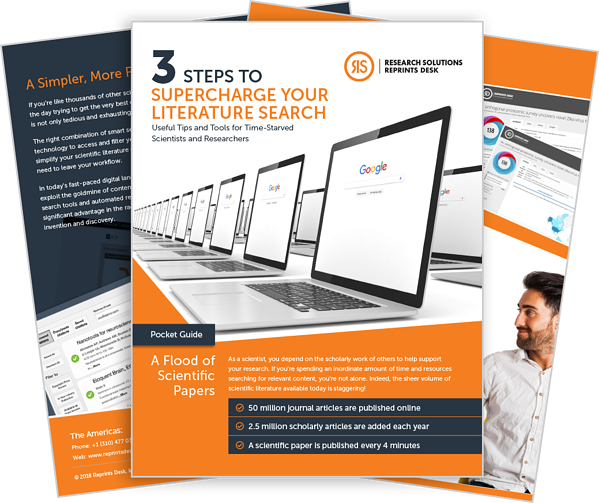 It's brimming with tips and tactics to enhance and accelerate your literature search!